Saturday saw the start of the season’s Cup matches for Dumfries 1st XI, Stafforce Dumfries, when they defeated East Kilbride by four wickets at Nunholm in their CricHQ40 Cup group fixture. East Kilbride opted to bat and after a solid start Dumfries pegged the visitors back when Niall Alexander bowled Kampman and Chris McCutcheon dismissed Meikle for 38. 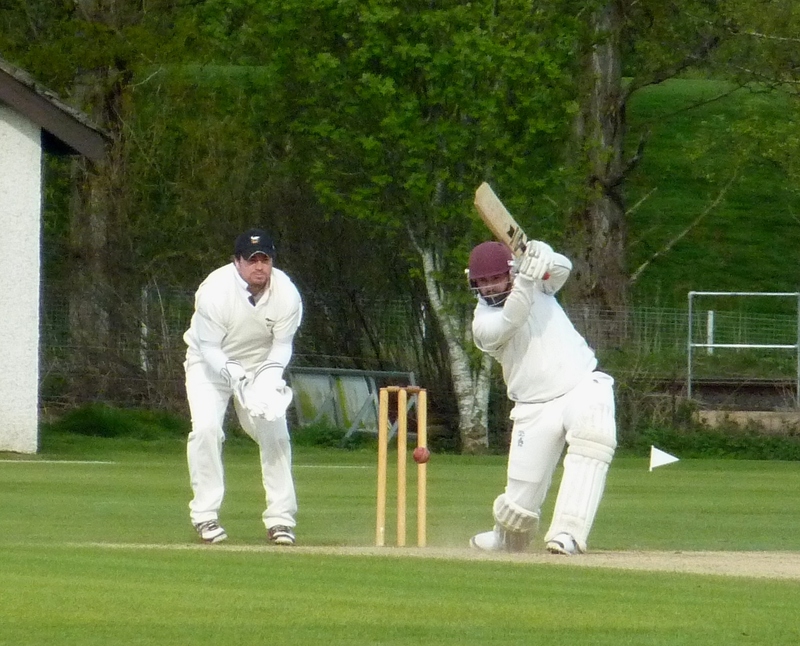 Wickets by Scott Beveridge brought East Kilbride to 112 for 6. However Johnstone then scored a rapid 28 and over forty runs were plundered in the final four overs for a final tally of 170 for 9. Beveridge and McCutcheon finished with four and three wickets respectively. It was the John Henderson Solicitors Man of the Match, Chris Bellwood, who then steered the Stafforce Dumfries side to a win. He and Alan Davison shared a near fifty run opening stand. Partnerships with Drew Dawson, Scott Beveridge and Robert McBride kept the rate at four an over. Then Bellwood completed a fine innings of 83 not out when he clipped the winning boundary over midwicket with three balls left of the forty overs for the four wicket victory. Stafforce Dumfries travel to Ayr on Saturday for their next group match and Dumfries 2nds, Eco-Genics Nunholm, are at home to Cambusdoon in the Western Cup.